Mastercard and Poste Italiane have struck a new partnership under which the Italian postal service’s Postepay app has integrated Masterpass to enable users to make mobile purchases—a deal the companies hope will appeal to Postepay’s large base of younger users. 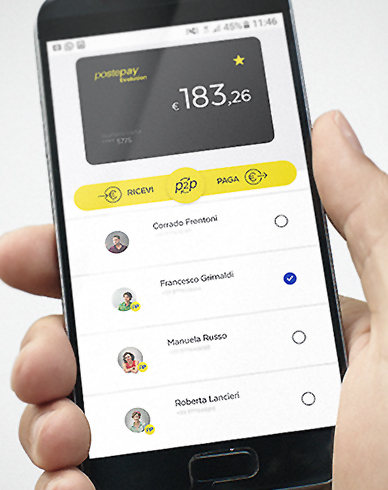 The Postepay App, which has been downloaded more than 4 million times, previously enabled users to make P2P money transfers and phone top-ups via smartphone and a linked prepaid or credit card from Poste Italiane. The Masterpass integration means the app now adds mobile purchasing capability for than 13 million Postepay cardholders, which collectively represent 25 percent of e-commerce in Italy. Poste Italiane pioneered prepaid in Italy when launched its first prepaid card in 2003. Since then, the postal service has maintained a dominant position in the market, with millions of cards issued. The latest version of its Mastercard-branded prepaid card won Best-in-Category honors in the Consumer Champion – Global category in the 2016 Pay Awards. “Italians are relying more and more on their mobile devices for everyday purchases and they are looking for simple, fast and safe payment solutions. Our collaboration with … Poste Italiane will enhance customers’ shopping opportunities through Masterpass and will support the digitization of millions of users in Italy,” said Paolo Battiston, Mastercard’s division president, Italy and Greece. Enabling online purchasing via the app is expected to appeal to Postepay’s large base of younger users, Postepay Italiane added. As a whole, digital payments are projected to comprise 38 percent of all payments in Europe by 2020, according to Mastercard. The deal is latest move by Mastercard to expand Masterpass with providers beyond its initial pool of banks and merchants. Last September, Mastercard announced a deal with PayPal under which Masterpass will be offered as a payment option for e-merchants that process payments via PayPal’s Braintree subsidiary. The Postepay deal also represents another step in Masterpass’ global expansion. Last November, Mastercard debuted a QR code-equipped version of the service in India, after the government’s abolition of some high-denomination paper currency drove increased demand for mobile and digital in-store payments. Californian company will power the paytech's connectivity layer.